Tiny Origami Swans | Robert Mitchell Jr.
Because really tiny swans are really friggin cute. 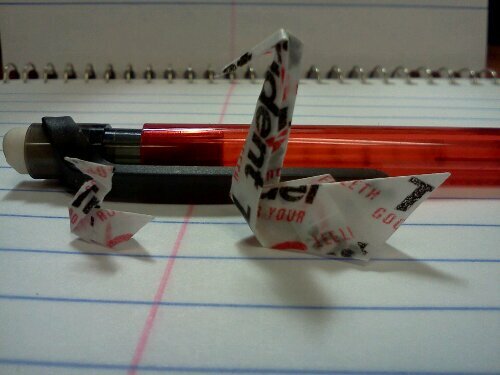 This entry was posted in Green, Martial arts, Writing and tagged origami, swans. Bookmark the permalink.